George Brooks is the antithesis of the wandering deejay. While many jocks move around frequently, the Chatham native has stayed put. In 2011, Brooks celebrated his 35th anniversary at CFCO, which he joined in July, 1976. Previously he jocked at CKAR Huntsville and CHEX Peterborough (as Gary Brooks). CFCO was at 630 on the AM band in 1976 - it moved to 92.9 on the FM dial in 2008. CFCO also switched from oldies to country that year with Brooks signing on the new format with Play Something Country by Brooks & Dunn. Brooks retired from radio in 2015, ending a 44-year career on the air. Enjoy George Brooks at CFCO here. Pete Fornatale was a pioneer and a survivor. In 1964, while a sophomore at Fordham University, Fornatale convinced the school to let him do a free-form rock show on the university's educational station WFUV-FM. He got the nod, and became the first jock to play rock music on FM in New York with his program Campus Caravan. It was the beginning of a 48-year radio career for the native of The Bronx. In 1966 - two years after Fornatale got the ball rolling - WOR-FM became the first commercial New York station to adopt the progressive rock format. WOR-FM abandoned the free-form approach in late 1967 but WNEW-FM quickly picked up the torch. Fornatale began his professional career at WNEW-FM in the summer of 1969 while continuing at WFUV for a while. Fornatale began his long-running Sunday morning show Mixed Bag in 1982 at WNEW-FM. He moved that show to WXRK after leaving WNEW-FM in 1989. 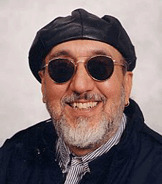 Fornatale returned to WNEW-FM in 1997 and then completed a full career circle in 2001 when he returned to WFUV and started doing his theme-driven Mixed Bag show on Saturdays. Fornatale interviewed hundreds of artists, including Paul Simon, Joni Mitchell, Leonard Cohen, Carly Simon, Elton John and James Taylor. He co-hosted the 1991 HBO telecast of Paul Simon Live in Central Park and was an expert guest commentator on numerous PBS rock music specials. 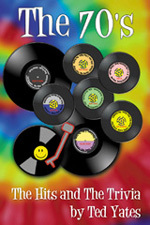 He wrote or co-wrote six books, the last of which was the 2009 release Back to the Garden: The Story of Woodstock. Fornatale died April 26, 2012 after suffering a stroke. He did his final WFUV show - a 100th anniversary tribute to the Titanic - just days before. Fornatale was 66. Enjoy Pete Fornatale's first show on his return to WNEW-FM in 1997 here. "The Friend You Can Depend On"
He played requests - answering his own phones - even mailing cassette copies of songs to listeners. He did contests, played mostly vinyl, chose his own music, and broadcast live every weeknight from midnight-5 a.m. His playlist consisted of over 18,000 songs and a whole hour of his show was devoted every night to the rarest of the rare. He played virtually EVERYTHING that charted from the '50s through the '80s. 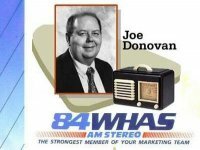 We're talking about Joe Donovan, who from 1977 to 1997 broadcast his iconic Rock & Roll Revival on the all-night show on WHAS Louisville. Thanks to the powerful 50,000-watt, clear channel WHAS signal, Donovan's show was heard in 38 states and four provinces. It was a sad day for many Donovan's fellow Nighthawks when did his final WHAS show on August 27, 1997 and his show was replaced by talk. Donovan fans will remember the Odd and Obscure Hour at 3 a.m., 60 minutes of songs from the deepest parts of his musical archive. There was also Name It And Claim It, with a prize to the listener who could match the artist's name to a snippet of a song. But perhaps best of all was Donovan's friendly, gentle on-air personality - perfect for the all-night time slot (he also did Saturday Night Revival and Friday Night Revival Shows with much the same approach). This aircheck of Joe Donovan's all-night show is DXed - which is the way we remember hearing it - so the signal fades in and out a bit. But shouldn't be a problem if you enjoy great personality radio that isn't afraid to be different. It's recorded the week before Donovan's show left WHAS after 20 years of the "Rock 'N' Roll Revival." It's one thing to play the music - it's another thing to know it. Ted Yates has done both for his entire radio career, which began at CHOO Ajax in 1973. After stops at CFOR Orillia (1974), CKPT Peterborough (1975) and CKTB St. Catharines (1977), the Toronto native began a 20-year run at CHSC St. Catharines in 1977. It was at CHSC where Yates established his long-running program Music, Memories and Milestones, which featured oldies and trivia about the music. 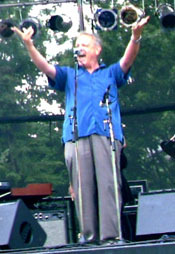 Yates, whose mentor is CHUM legend Roger Ashby, went to CKPC Brantford from 1997 as program director and music director. He has reprised both of those roles in addition to the role of morning man at CKOC since joining the Hamilton station in 2004. After CKOC and he parted ways in 2014, Yates has landed at The Grand 92.9 in Haldimand, Ontario. 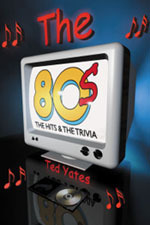 Yates doesn't restrict his musical knowledge to the airwaves - he also shares it in print. 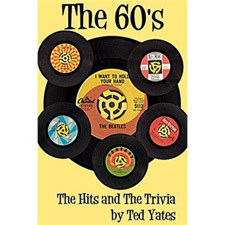 The oldies aficionado has three published books, The '60s: The Hits and The Trivia, and The '70s: The Hits and The Trivia and The '80s: The Hits and Trivia. All are fine additions to your library. Enjoy Ted Yates with Music, Memories and Milestones on CHSC here. If a man could be measured by his friends, Chris "Punch" Andrews stood very tall indeed. South Regional Health Centre in Newmarket, Ontario, - where Andrews spent his last days - said they've never seen a patient with so many friends and family. In addition, his Chris Andrews Support Posse Facebook page was filled with hundreds of messages of support from the many people whose lives he touched. Karen Steele, program director at MIX FM, writes "Punch had a tremendous heart and passion for radio. He absolutely LOVED everything about it..."
Andrews started in broadcasting in 1982 when, at just 17, he began an eight-year run as an on-air host at Cable 10 in Aurora, Ontario. He also jocked at CKAN Newmarket, Ontario, from 1986 to 1992 - mostly in evenings - while studying radio and television at Ryerson University. After that, he moved to AM 640 Toronto for a short time as a producer. Andrews' next stop was from 1992 to 1994 as an evening announcer at CFCY Charlottetown. In 1994, it was on to Toronto's MIX 99.9, where his 7 p.m.-midnight show grew to be number-one in its demographic and timeslot. Andrews went on to host the popular Saturday Night Party Mix on MIX FM, and also did traffic reports for CFRB, EZ-ROCK and MIX FM. In 2000, he began teaching Communications Technology at Vaughn Secondary School in Thornhill, Ontario, and was PD and technical director at the school's radio station, 90.7 RAV-FM. Andrews' multi-faceted career also included stops at three other Ontario stations: HTZ-FM in St. Catharines, Rock 95 in Barrie and Z 103 in Brampton. He was also narrator for the show Office Temps on Global TV. Andrews died March 30, 2008. He was 43 and suffered from lung cancer. Enjoy Punch Andrews - with Mark ChamPaine* - on Mix 99.9 here. 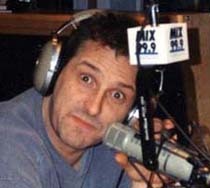 *Better known as Mark Paine, he was Mark ChamPaine at Mix 99.9 and yes, that's how he spelled it! Tom Rivers was more than a rock jock. He was also an entertaining talk show host. After years as a Top 40 deejay all over North America, Rivers returned to Toronto to do a morning drive talk show on Talk 640 (CHOG). The show debuted in September, 1997 and lasted nearly two years, to August, 1999. It was a real treat for the many Rivers fans who had heard him previously at CHUM and CFTR. And in the process, he got to work with yet another popular Toronto broadcaster, newsman Larry Silver. Silver appears on this aircheck as does the contributor of this clip, Kevin Waller (he's identified as Radio Kevin here.) And there's also a funny bit on the Progressive Conservative Party, whose leader Jean Charest had just announced he was leaving that post. Enjoy Tom Rivers on Talk 640 here. "We kinda throw the format out and do pretty much as I please." Known as The Father of Buffalo Progressive Radio, Jim Santella has been a mainstay in Buffalo radio, TV and theatre for four decades. The Santella legend began at WYSL-FM 103.3 in 1969. By 1970, the calls had changed to WPHD. WYSL-WPHD had a split personality in the late '60s and early '70s. 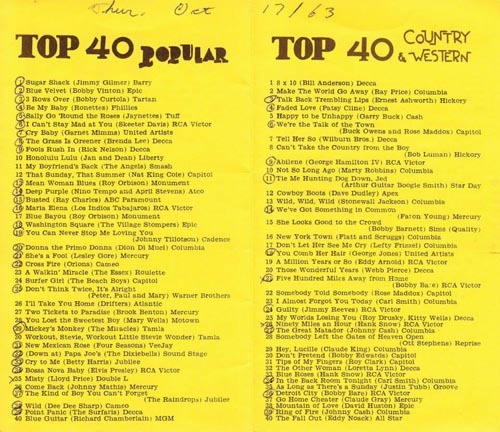 By day, it was Top 40, a simulcast of WYSL-AM. By night, it was progressive rock in the finest tradition - album cuts, themed sets and interesting rap as provided by Santella among others. By 1971, the simulcasting was gone, and WPHD became a full-time AOR station. Santella himself left by 1974 and went on to enjoy a varied career in radio, TV and theatre. He was named to the Buffalo Broadcasting Hall of Fame in 2005. Santella is one of those rare announcers who really connects with his audience, and has done so at stations like WEBR (jazz), 97 Rock and WUWU (AOR) and National Public Radio's WBFO. Santella has been film and theatre editor for Nightlife magazine and has also done Theatre Talk for NPR's Morning Edition. He has also been camera man/floor manager for Buffalo's PBS station WNED-TV. In 1998, Santella was doing a weekly late-night show called Radiation Theatre for WGRF (97 Rock). Fittingly enough in this aircheck, he was talking about radio. Listen to a portion of it here. Dan Ingram is doing weekends on Oldies 101 WCBS-FM New York, and he hasn't lost a bit of the talent that made him a huge hit all those years on WABC. All his regular stuff is here, including the Word of the Day, the Honour Group of the Day, his closing theme and some amazing one-liners. My favourite is the comment about the Eagles' hair, or lack of it, but there's much more on this terrific aircheck. It was recorded when WCBS-FM was briefly uplinked as a subcarrier on a C-band subcarrier, which is why the quality is so phenomenal. It's also the last tape I ever edited using a grease pencil and a blade off the old reel-to-reel. It's now a lost art, but the scoped piece came out nearly perfect as a result. Enjoy Dan Ingram on WCBS-FM here. It was a fitting tribute to one of the 20th century's greatest performers, by one of New York's leading jocks. Within hours of Frank Sinatra's death at the age of 82, Bob Shannon devoted an entire hour of his afternoon drive show on WCBS-FM to Ol' Blue Eyes. Skilfully mixing archival tape with a selection of Sinatra's greatest hits, Shannon put together a tribute worthy of The Voice. It was business as usual for Shannon, whose show for years included regular historical segments like Rockeology, Hands Across the Water and First and Fourmost. Enjoy Bob Shannon's tribute to Frank Sinatra on WCBS-FM here. Talk show host ... rock 'n' roll DJ ... newsman ... baseball broadcaster ... Joe Cannon has done it all in a radio career that began before he could vote. Well known for his time as a talk show host at Montreal's CJAD, Cannon also had the distinction of being the last morning man in CJCL's music era before the Toronto station's switch to sports in 1992. The native of Quebec City joined CJCL in 1990 from Toronto news-talker CFRB, where he arrived in 1989 from fellow Standard outlet CJAD. Cannon returned to CFRB in 1992 but was back in the Montreal market in 1993 at CIQC, where he did his Joe's Gold oldies show and was colour man on the station's Expo broadcasts in the late 90s. Wearing yet another radio hat, Cannon co-anchored the morning show at all-news CINW (the former CIQC) from 2000 to 2004, and appeared on the news-talk version of the station from 2004 to 2008. Cannon started in radio at the age of 16 in 1961 at CJQC Quebec City. Two years later he moved to Ontario where he appeared at CJSS Cornwall (1963-66), CKWS Kingston (1966-68), CKDS/CHML Hamilton (1968-71) and CJRN Niagara Falls (1971-75). He returned to La Belle Province at CJAD (1975-76), CFCF (1977-81) and again at CJAD (1981-1989). Enjoy Joe Cannon on CIQC here. Whether he was in front of a camera or behind a mic, Jack Curran could do it all. Curran charmed Montrealers as a television personality and radio host for nearly half-a-century. He's perhaps best known for his time at CFCF-TV, which he joined when Channel 12 launched in 1961. At CFCF-TV, he read the news, did the weather, and hosted variety shows, game shows, panel shows, talk programs and fronted the highly popular Movie Matinee in the '70s. He also hosted the award-winning Grand Prix Wrestling from 1971 to 1975. On the station's managerial side, Curran served as program manager and vice-president of public relations. John Bernard Curran got his start in broadcasting at the age of 16 in 1951, at the CBC radio station in Saint John. The native of Grand Falls, New Brunswick, worked in Newcastle, Ontario, Halifax and Ottawa before landing at CJAD Montreal in 1953. He followed his success at CFCF-TV by doing the morning show at CFCF radio from 1977 to 1991. Curran returned to CFCF (by then known as CIQC) in the late '90s to do a weekend Big Band show. He joined CJUL (The Jewel) Cornwall, Ontario, when it went on the air in 2000. It was Curran's last broadcasting gig before his death in 2003 at the age of 71. "He had the gift of gab and was one of the most unflappable people on air I have ever met," fellow broadcaster Don McGowan told the Montreal Gazette. "His poise was extraordinary. He could walk into a studio cold, go on camera, and give you the impression he had prepared for days. He was a good all-around performer." Enjoy Jack Curran on CIQC here. For half-a-decade, it reigned as the Home of American Popular Standards. Following in the footsteps of long-time New York standards outlet WNEW-AM, WQEW signed on December 9, 1992 under the direction of station manager Stan Martin. WQEW replaced WQXR, which had been playing classical music since the 1930's (and continued to do so on the FM dial). Quite a number of well-known New York radio personalities were heard on WQEW over the next six years, includingJonathan Schwartz, Bill Quinn, Lee Arnold, Bob Jones, Batt Johnson, Rich Konaty, Del Demontreux, Gene Edwards, John Van Soosten, Les Davis and Chuck Leonard to name a few. And there was the music - Ella, Sinatra, Bing, Basie. But all good things must come to an end, and so did WQEW. Shortly before midnight on December 28, 1998, Martin said a few words of farewell, played Nat King Cole's Stardust and the Great American Songbook came to an end at WQEW. After that, Radio Disney. The standards no longer play at 1560kc in New York, but the memories linger on. Enjoy Chuck Leonard on WQEW (UNSCOPED) here. Enjoy Chuck Leonard on WQEW (SCOPED) here. Sometimes you just happen to roll tape at just the right time. Such was the case on Friday, December 18, 1998 when we decided to record Jonathan Schwartz's afternoon drive show on WQEW. Little did we know at the time that this would be his final weekday show. He came back the next day for his Saturday Sinatra show but his Sunday show was cancelled and the station suddenly began 24-hour automation on Monday the 21st, six days in advance of it becoming Radio Disney late the following Sunday, the 27th. WQEW picked up the banner of playing standards in New York in 1992. But despite its best efforts, economics won out as Disney paid the New York Times Co. $40 million in 1998 to lease WQEW for five years and forever close The Home of American Popular Standards. Enjoy Jonathan Schwartz's final weekday show - "vulture ads" and all - here. Station: WJJL Niagara Falls, N.Y. He was known as J.B. and later Jay Brown (and even that wasn't his real name). But regardless of the moniker, oldies buffs in southern Ontario and western New York are lucky to have been entertained by such a true friend and fan of radio and oldies. J.B.'s on-air career began near the beginning of Burlington, Ontario's, FM 108 Gold and Great in 1979, where working usually weekend all-night shifts he gained a strong following. His bright, friendly on-air style always left you wanting more. J.B. left FM 108 in the mid-1980s as the station began a slow move away from the oldies format, but he wasn't through with radio. J.B. landed on Saturday mornings on CJRN Niagara Falls, Ontario, in 1988 and by 1998 had crossed the river to Niagara Falls, New York, to WJJL. After the WJJL studios burned down in December, 1999, he went from being "on the air" to "in the air" - J.B. now has his private pilot's licence. As of 2008, he was involved in stock trading and training. The man who trained many new FM jocks - including the author of this site - is to be thanked for his contributions to this page. Thanks, J.B. Enjoy J.B. from 1999 on WJJL here. From Dion and the Belmonts to Celine Dion, Brian Master has played it all in a career spanning all or parts of six different decades. Born in Brentwood, England and raised in St. Catharines, Ontario, Master began his radio career in January, 1969. His first station was CFCO Chatham, Ontario, where he was production manager and also did swing shifts. In May of 1969, he moved to CHOW Welland, Ontario, where he did midday op and swing shifts, and later evenings. He was Brian H. Master then - the H. was added to avoid confusion with another CHOW announcer, Don McMaster. On his evening show at CHOW, Master played Top 40 from 6:30 p.m. to midnight weeknights. Then from midnight to 1 a.m. - a segment he called Symmetry - Master spun progressive rock (he started every Friday Symmetry show with In-A-Gadda-Da-Vida by Iron Butterfly). Also on CHOW, Master played J' T'Aime...Mon Non Plus by Jane Birkin and Serge Gainsbourg a lot, much to the consternation of local Roman Catholic Archdiocese, so he made it number-one three weeks in a row! Master's evening numbers at CHOW were so high (a 32 share!) 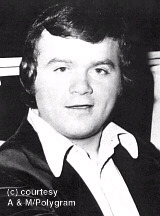 that CHSC's Bob Redmond hired him away to his St. Catharines station in June, 1971. Master initially did the all-night show (called Town and Country) at CHSC and later moved into evenings. 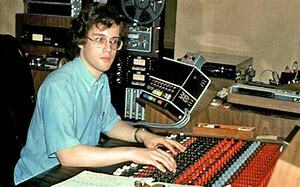 In July, 1972, he got his biggest break yet, when CHUM-FM PD Bob Laine hired at the Toronto progressive rock station. It was there he permanently dropped the H. from his air name. At CHUM-FM, he was assistant to Benji Karsh, the music director, and Laine, who was followed in the PD position by Duff Roman. In June, 1978, Master moved to Q-107 Toronto as music director and swing announcer. Master returned to CHUM-FM in June, 1980, initially in mornings and later in middays. He left CHUM-FM for a second time in May, 1983 for easy-listening CHFI Toronto. Master would spend the next 19 years at CHFI, first in weekends and beginning in 1987, afternoon drive. He also spun the oldies as part of CHFI's popular Saturday Night Oldies program. Master left CHFI in January, 2002. He went into real estate in 2005 but has since returned to radio as the Jewel Network Program Director and afternoon drive host at 88.5 The Jewel in Newmarket, Ontario. *On a personal note, I'll never forget the time Brian Master came to Ryerson University in the mid-'70s to listen to the airchecks of the announcers on the campus radio station, CRFM. One of the airchecks he listened to was mine, and it gave it a nice review and good words of encouragement. It thought it was great that a broadcast professional would take time out of his busy schedule to visit us at Ryerson, and critique our airchecks in such a positive way. Thanks, Brian. Enjoy Brian Master on CHFI in 1999 here. They say when one door closes another opens. That was the case with FM 108 and its successor, Energy 108. After FM 108's oldies era ended in the early '90s, CING-FM switched to a format that prominently featured the top dance tunes of the day. The origins of this new format can be traced to September, 1989, when CING-FM began scheduling dance music from 7 p.m. to 6 a.m. as Rhythm Radio. Wayne Williams was the original evening host and Gary Thomas handled the all-night show. The success of Rhythm Radio led to CING-FM adopting a full-time dance music format, called Dance 108, in September, 1991. Later it became known as Energy 108 and even later, Energy Radio. Among those who spent time behind the Energy mike were Scot Turner, Chris Sheppard, Nicholas Picholas, Richard Correll, Bob Callahan, Billy Howard, Tony Monaco, Jay McPhail, Mike Devine and Don Berns. Other Energy voices included Pamela Blair, Kathy Wall, Tom Allen, Anwar Knight, Mary Ellen Benninger, Sam Cook, Don Steele (not The Real Don Steele), Rob Leclerc, Carter Brown, Rob Wallace, Kenny B., Larry Silver and the morning team of Stu and Colleen. And that's just to name a few; sorry if we left anyone out. 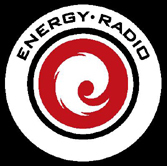 Energy Radio had a good run, but it came to an end at 6 p.m. August 9, 2002, when CING-FM switched to a country format. Here's a list of the songs in the last two hours. Wayne Williams and Mike Devine are heard in this Energy 108 montage here. Station: ENERGY 108 (CING-FM) Burlington, Ont. Mike Devine cleverly combines the old and the new of CING-FM in this aircheck here. On January 31, 2000, long-time MOR/Oldies station WGR switched to a all-sports format after a decade of news and talk. On the first day of sports, WGR presented an incredible montage of great sports moments over the years. Station: WHTT-FM (Oldies 104) Buffalo, N.Y. They say you can't go home again, but Jack Armstrong proved them wrong. Returning in June, 2000 to Buffalo, New York - scene of some of his greatest radio moments in the early '70s - Armstrong wowed 'em with some classic Big Jack moments. Sounding as fresh as he did at WKBW from 1970-1973, Armstrong did a full oldies show (as opposed to an interview) on the Oldies 104 (WHTT-FM) "Rock 'N' Roll Radio Reunion Weekend." Yes, he gets the station ID wrong a few times, and misidentifies a Paul Revere and the Raiders song, but for the most part it's classic Armstrong. He even takes a few interesting calls, including one from long-time Scrapbook viewer Sam Ward. All in all, it's great Top 40 radio. Enjoy Jack Armstrong - introduced by long-time Oldies 104 jock Brian J. Walker - on WHTT-FM here. "Today we launch a radio station like no other..."
Old became new with the launch of AM 740. On January 8, 2001, CHWO officially switched frequencies from 1250kc to 740kc. But this was much more than a mere frequency change. Founded in 1956, CHWO operated for years at 1250kc with a signal of 10,000 watts by day and 5,000 watts at night. Now it had a 50,000-watt clear channel signal at 740kc that blanketed Ontario and can be heard in more than two dozen U.S. states (reception reports have been received from as far away as Finland, Belgium, Jamaica, Alberta and Seattle!) It was a huge boost for CHWO, which took over the 740kc spot that became free when CBL, the CBC's English-language outlet in Toronto, moved to FM in 1999. CHWO, known for years as Radio to Remember in its 1250 days, rebranded as Prime Time Radio with, as long-time owner Michael Caine described it, "a mix of MOR, easy listening, '50s pop, big band, swing and nostalgia." Veteran broadcaster Tom Fulton came over from CFRB to team with Donna Priesi on the morning show. Barry Morden did middays, Norm Edwards afternoon drive and Jim Paulson evenings in the original AM 740 weekday lineup. Weekend personalities included Earl Warren, Bob Sprott, Michael Englebert, George Jonescu, Dennis Snowdon, Art Drysdale, Bob Kerby, Richard Infantino, Frankie Benson, Colin Hoare and music director Brian Peroff with his popular "Flashback" show. Many changes have taken place at AM 740 since its launch but one thing remains constant: the station's commitment to a wide range of popular music of the 20th century. Named 2002 "Station of the Year" by the Ontario Association of Broadcasters, AM 740 continues to be, in the words of Michael Caine, "an oasis in the desert of rock and talk radio..."
"On January 8, 2001, AM740 Prime Time Radio made its debut at 7:40 in the morning. The first song played was All The Way by Frank Sinatra & Celine Dion. 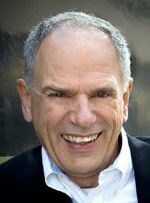 The new morning host was Tom Fulton, one of the best. His morning co-host was a lady named Donna but she didn't last long. There were a lot of people behind the scenes who made it happen. We didn't realize how fast we were going to grow. We had a passion for the music and programming. It all started when Michael Caine, our general manager, announced that CHWO 1250 had been awarded the powerful AM 740 frequency once owned by CBC. I realized then that I was finally going to get my chance to work for a Toronto radio station after 24 years in the broadcasting industry even though the offices were staying in Oakville. As music director I was given the challenge to automate our music. Everything was going to be computerized. That included not just the music but also commercials, jingles and Id's. It was all new to us. I needed to find a music scheduler. Plus, I needed to teach myself how to set it up and make it work. The odd time I had to call Music Master for advice on how to use the DOS-based scheduler. The best teacher is practice. I knew it was going to take a lot of hard work to get it going but everybody pulled through and here we are today, ten years later. Over the past ten years we've had our ups and downs. There was happiness about our new-found success. A few times sadness crept in and that gave us a terrible jolt. Tom Fulton, Jim Paulson, Earl Warren, Tom Rivers (who worked with us briefly before going back to CHUM) all passed away. Then came the news that AM740 was going to be sold to MZ Media in 2008. Once in their possession changes were made. Those who made it work in the beginning weren't all going to be with the New AM740. Only time would tell whether AM740 under the new management would still have the magic to be successful. There were a lot people who need to be recognized for their contribution to AM 740 over the years. There are two people who deserve special mention who are no longer with us: the late Bob Sprott and Brian Smith. Brian Smith started the AM740 Yahoo group. He was passionate about his music and he was a dear friend." Hear the launch of AM 740 here. It took a lot to keep Marc Chambers away from a microphone, especially a CHUM one. When 1050 CHUM dropped oldies for sports on May 7, 2001, Chambers simply continued - on the station's now-defunct Internet-only oldies feed at 1050chum.com. After THAT ended, Chambers - who was renowned for his enthusiasm for radio - resurfaced on the airwaves at 1050 CHUM when the Toronto station returned to oldies in August, 2002. Thus, Chambers continued his long association at CHUM, the station where he spent more than half his career. Chambers career path was set at the age of seven, when he got his first transistor radio. He was still in his teens when he started in radio for pay in 1973, at CHUB Nanaimo, B.C. The Regina native used the air names J. Marc and Marc Webber there, but began calling himself Marc Chambers when he moved to CJAV Port Alberni, B.C., in 1978. He was Marc Webber at CJVB Vancouver in 1979, then Marc James at CFUN in 1983. He started using Marc Chambers for good when he arrived at CHUM in 1986. Chambers would spend the better part of two decades at CHUM, with a stint at CJOJ Belleville, Ontario, in 1995 and another at The Oldies Network beginning in 1996. An accomplished voice professional, Chambers was also a writer, public speaker and president and CEO of The MediaTech Group Inc. He also hosted CHUM's popular oldies dances at Hollywood on the Queensway, and was the PA announcer for the Toronto Argonauts of the Canadian Football League. Chambers died of cancer May 2, 2008 at the age of 52. Enjoy Marc Chambers (and plenty of classic CHUM jingles) on 1050chum.com here. From the beginning, Larry Green was influenced by music. Growing up in Toronto's multi-cultural Kensington Market neighbourhood, Green was exposed to R&B, blues and jazz. His early music studies - he played the sax until he broke his jaw in a car accident at age 20 - led to an incredibly varied career in radio and music. After humble radio beginnings delivering mail at the CBC, Green jocked at Ontario stations CHVC Niagara Falls, CKLB Oshawa and CJOY Guelph, and CHIN Toronto. He worked on the west coast at CKOK Penticton, B.C., CKNW Vancouver, CJOB Vancouver, KJAZ San Francisco and CHIN Toronto. Green worked as a writer at CHUM AM and FM before moving into the afternoon host chair at progressive rock formatted CHUM-FM in the late '60s and early '70s. He returned to afternoon drive in Toronto radio at JAZZ.FM91 (CJRT) from 2002 to 2010. But radio has only been part of Green's career. He spent 16 years as the National Promotions Manager for Warner Brothers, Electra and Atlantic Records, worked in production, taught, was a voice and acting agent, and worked as a consultant. He even wrote a Hiaku poem for a Lighthouse album jacket. Speaking of Lighthouse, Green tells Rock Radio Scrapbook about an interesting promotion he did for the Toronto band on CHUM-FM. "Took three tracks (rhythm section only) from first album at RCA. Played it on a Saturday afternoon. Promoted on air that I would add the horns the following week, and the electric strings the week after and the vocals the week after that. All on my Saturday afternoon show. It was a huge success and the beginnings of one of Canada's most successful and popular bands." Enjoy Larry Green on JAZZ.FM91 on August 10, 2002 here. Like a long-hidden creature emerging from the depths, WWKB returned as a music station at 6 a.m. on January 27, 2003. The return of 'KB 15 years after the station abandoned live-assist oldies programming brought joy to the many who remembered 'KB the way it was. It was a like a long-lost friend had come home. And who better to kick it off but long-time morning man Danny Neaverth and co-host Tom Donahue with Don Berns as the image voice of the relaunched 'KB. The reception on this aircheck is poor, but 'KB doesn't get into Rock Radio Scrapbook territory very well. "Don't forget to eat your Snicker Snacks because it's crackers to slip a rozzer a dropsy in snide. Goooooood day." Whether it was Elvis, oldies music in general, baseball - even magic - Doug Hobbs had a passion for it. Hobbs, who served as a judge at Elvis tribute shows, once played every song The King ever recorded all in a row on his long-running Saturday morning oldies program at CKTB. He joined the St. Catharines, Ontario-station in 1969 from CKSL London, serving for many years as sports director before leaving in 1991 for a year at CJRN Niagara Falls, Ontario. He then moved to TSN before returning to CKTB later in the '90s to do a talk show that ended in 2000. Hobbs was a huge baseball fan - the Cleveland Indians were his team - serving for more than two decades (1990-2012) as an official scorer for the Toronto Blue Jays and also broadcasting games for the minor league St. Catharines Blue Jays. He also dabbled in magic - once doing his act on Uncle Bobby's children's show on CTV - and was a lifetime member of the Order of Magicians. Hobbs, who had an extensive record collection and a deep knowledge of music, appeared several times as a guest on The Gold and Great Revival, hosted by Burt Thombs and produced by Rob Muir. This online show, a tribute to Burlington, Ontario-oldies station FM 108 (CING-FM), ran from February 2003 to May 2004. Hobbs died May 5, 2013, a few days after suffering a heart attack. He was 68. Enjoy Burt Thombs and Doug Hobbs on The Gold and Great Revival here. What was the first rock 'n' roll song? 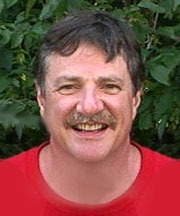 Then AM 740 program director Gene Stevens attempts to answer that question in this January 20, 2004 edition of the goldandgreatrevival.com, a web site in tribute to Canada's first FM oldies station FM 108 in Burlington, Ont. Rob Muir was the producer for the goldandgreatrevival.com. He talks about the goldandgreatrevival.com, and Gene Stevens' appearance on the show with host Burt Thombs where he looked for the root - not the roots but the true root - of rock 'n' roll. "I was not a part of the original Golden Great Revival on FM108, but my sister was passionate about the station and it's music. In 2003 I joined forces with 108 mainstays Burt Thombs and Rockin' Robin where I was allowed to be a part of a tribute station, tipping their hats to the folks that made history in the 1980s. I met some of the most intriguing legends of Canadian radio in Burt's Grimsby studio. I heard stories about the top 40 radio years, and made friends that continue to be a part of my life today. Gene Stevens, then the "boss man" at AM 740 was invited to bring along his favourite tunes and stories from the early days of rock and roll. What unfolded over 90 minutes that night was an awakening of sorts for me. I, like most of my generation, believed Rock Around The Clock was the tune that started it all. Maybe even stretch it back a bit to Rocket 88, but surely that was the birth of the greatest music of the century, right? Gene set me straight, and by the end of the show, had changed my mind a dozen times." Enjoy Burt Thombs with Gene Stevens on The Gold and Great Revival here. 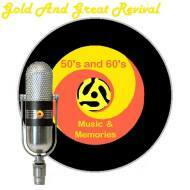 Enjoy Burt Thombs and Gene Stevens on The Gold and Great Revival here. It's never too early to get into radio. Don Percy was only 19 years old when he got his first radio gig at CFCO Chatham, Ontario, in 1956. His parents drove him to the station, watched him walk up the stairs and Percy was off and running on a 58-and-a-half year career in radio. At CFCO, he made $37.50 a week cleaning up, operating the board and occasionally reading the news on his day off. From there Percy went to CHOK Sarnia, Ontario, (for $45 a week). It was at CHOK Percy got his first big break, when the morning man went on vacation. He kept the shift when the regular guy returned and moved to afternoons. Percy would work mornings throughout most his career, eventually earning the moniker Master of the Morning. From those humble beginnings, Percy went on to work in the major markets of Toronto, Edmonton, Vancouver and Winnipeg during a radio career that lasted nearly 60 years. About half of that time was spent in the 'Peg, where he jocked at CKY (KY-58), CKY-FM (103-CLEAR-FM), CKLU-FM, CFRW and finally CJWL (The Jewel) where he signed off his final regular show January 19, 2015 at age 77. For much more on Percy's career, check out this great article by Scott Taylor at MyToba.ca. Enjoy Don Percy's first show on CFRW from May 4, 2004 (UNSCOPED) here. A blizzard is raging in New York City, but Steve O'Brien soldiers on. On this WCBS-FM aircheck less than five months from the "Jack" format, Steve O'Brien fills in for afternoon driver Bob Shannon as a major snowstorm that would dump 12-15 inches on the Big Apple moves in. O'Brien updates the weather, keeps listeners abreast of the difficult driving conditions, and provides some superb personality oldies radio on this great sample of the veteran air personality whose long resume includes a stint at Toronto's CKFH in 1969-70. Hear Steve O'Brien on WCBS-FM here. Toronto radio listeners remember him as one of the CKEY Good Guys in the early '60s, back when that station played Top 40. Montreal listeners recall the charming and laid-back announcer who hosted CJAD's afternoon show for some 20 years beginning in 1972. In between, there was a stop at Montreal Top 40 giant CKGM. It was quite a career for Jack "J.P." Finnigan, who died December 2, 2006 at 65 of complications related to diabetes and a heart condition. The tributes were plentiful and heartfelt when Finnigan passed away. CJAD personality Dave Fisher told the Montreal Gazette "He taught me that even through you're talking to thousands, you have to talk like it's one person. He was very gentle, very intimate and very funny." His wife, Diane Finnigan, from whom he had separated but never divorced and to whom he remained very close, said "He loved to make people laugh. He was a good listener and my personal encyclopedia." That encyclopaedic knowledge came in handy during Finnigan's time as host of a Sunday afternoon trivia show at CJAD, a show he hosted until 2005. Enjoy an aircheck of that CJAD show here. Thanks to Marc Denis for editing and sending this to us! Station: CHTZ St. Catharines, Ont. For years, Merritt House (shown above) - home of CKTB and CHTZ in St. Catharines, Ontario - has supposedly been haunted. It's a long and interesting tale. For details, we invite you to visit this link, then come back. In 2005, the fun-loving Merritt House spirits decided to spice up the CHTZ morning show. We call this segment "Great Teasers Ghost," and you can hear it here. In 2002, Jim Brady returned to his hometown of Toledo for what turned out to be his last stop in radio, WRQN. Brady began his career in 1964 in the Glass City at WTOL, the beginning of a long radio journey that took him to six states and three provinces. One of the major highlights of his career was the eight years (1973-81) he spent as "Brady in the Morning" at Toronto's CFTR. Some three decades later, he was "Brady in the Afternoon" at WRQN. Brady retired from WRQN and radio in 2008. He died six years later of cancer, aged 67. 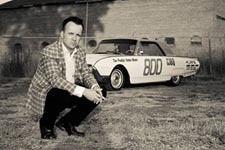 Hear Jim Brady on WRQN (UNSCOPED) here. On CKOC's 85th anniversary, morning man John Novak had some special guests. Novak interviewed long-time CKOC air personality and sports director Gary Summers, who spent 33 years at the station beginning in 1959. Summers does an impromptu sportscast and looks back at this time at CKOC. We then hear Hamilton native Skip Prokop, who co-founded Lighthouse in the late '60s. Enjoy John Novak with Gary Summers and Skip Prokop here. John Novak talks to Canadian music legend and Hamilton native Ian Thomas on CKOC's 85th anniversary. Enjoy John Novak with Ian Thomas here. Forty years after they were banned, the pirates came back. 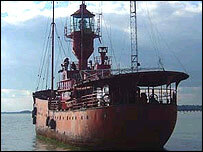 For a few glorious days in August 2007, many of the legendary jocks from 1960s British offshore - or "pirate" - radio returned to the airwaves in a ship anchored in the North Sea off Essex, England. It was called Pirate BBC Essex, and from August 9-14 listeners once again enjoyed such talents as Johnnie Walker, Dave Cash, Keith Skues, Emperor Rosko, Norman St. John, John Kerr, Gordon Cruse, Tom Edwards, Mike Ahern, Pete Brady and Roger Day. They were joined by Ray Clark, Steve Scruton, Ian Wyatt and Tim Gillett from a similar 2004 show. Many of them were working together for the first time since the Marine Offences Act effectively ended offshore British broadcasting on August 14, 1967. Canada was well-represented on Pirate BBC Essex by Keith Hampshire. The man nicknamed "Keefers" came to CKFH Toronto in the late '60s after a stint at Radio Caroline South in 1966 and '67. He went on to become a top recording artist - with hits like Big Time Operator, Daytime Nighttime and The First Cut is the Deepest - and established himself as one of Canada's leading commercial voice-over specialists. Enjoy the first hour of Keith Hampshire's Pirate BBC Essex show here. Enjoy the second hour of Keith Hampshire's Pirate BBC Essex show here. Enjoy the third hour of Keith Hampshire's Pirate BBC Essex show here. It was one of the last interviews Jack Armstrong ever did. Fittingly, the Top 40 radio giant made that appearance on the "radio show about radio" - The SOWNY Show. The August 27, 2007 broadcast featuring Armstrong and fellow WKBW alumnus Don Berns was a major first-season highlight of The SOWNY Show, which debuted June 11, 2007. Hosted by Craig Smith - moderator of the Southern Ontario-Western New York Radio Forum (SOWNY) - the one-hour show which from June, 2007 to December, 2008 aired live every Monday night from 7-8 p.m. ET from "Studio B," the Toronto home studio of show producer Don Andrews. In just the first year of the show, radio folks featured on The SOWNY Show who also have airchecks on Rock Radio Scrapbook included Armstrong, Berns, Scott Carpenter, Keith Hampshire, Jeff Kaye, John Donabie, Don Daynard, David Marsden, Marc Chambers, Russ Horton and Doug Thompson. "The SOWNY Show started out as an idea after Don Andrews and I did a New Year's Show in 2006. A couple of months later Don came up with an idea based on the Southern Ontario/Western New York Radio Board (SOWNY) and after a few test shows we started in June, 2007. This wonderful experience has us talking to technical people, program directors, musicians and disc jockeys, including two that are on broadcasting display at the Rock and Roll Hall of Fame in David Marsden and Jack Armstrong. I had former WKBW and CFNY deejay Don Berns on the show and hinted that I would love to have Jack on the show if he still kept in touch with him and Don B. came through. Jack was my favourite DJ and it was a huge thrill and honour to have him on the show in one of the last interviews he ever did." The following interview with Armstrong and Berns is truly spellbinding. In light of Armstrong's death less than seven months later, on March 23, 2008, it's also rather poignant. Either way it's great radio. Enjoy Jack Armstrong and Don Berns on The SOWNY Show here. Craig M. Smith loved radio and in the end, it loved him back. Like many of us in southern Ontario, Craig grew up a fan of the great AM Top 40 stations like CHUM, CKEY, CKFH, CFTR and WKBW. He collected radio station charts with a particular fascination with the year-end surveys. He was an avid record collector who - fittingly - worked at Sam the Record Man and also deejayed dances. Later he would work at - also fittingly - Radio Shack. In February, 2001, Craig got a direct pipeline to the pulse of the local radio he loved when he began moderating the Southern Ontario/Western New York Radio-TV Forum (SOWNY). It was good timing, the board had just started to become popular and under Craig's tutelage it became the "go-to" Internet place in southern Ontario for radio and TV rumours, news and discussion. In June, 2007, Craig took the board a step further, creating a weekly live radio program called The SOWNY Show. Over the next 19 months, a parade of high-profile radio guests appeared either on the phone or in person to be interviewed by Craig in producer Don Andrews' infamous "Studio B" in Toronto. Craig developed health problems and was forced to put the show on hiatus in 2009. Suffering from liver problems, his health worsened and in the summer of 2010 was admitted to Southlake Regional Health Centre in Newmarket, Ontario. Craig died there on September 6, 2010, at the age of 54. His passing was greeted with an avalanche of condolence messages from his many admirers in the radio biz on the board that was such a big part of his life. On December 17, 2007, Craig interviewed Canadian radio legend David Marsden on The SOWNY Show. It's a fascinating hour that showcases Craig at his best - a radio fan talking to one of his heroes. In lieu of flowers at his funeral, Craig requested that donations be sent to the CHUMCity Christmas Wish or Southlake Regional Health Centre. Is this where radio is headed? Don Andrews, producer of The SOWNY Show, had an interesting if rather worrisome segment on the February 18, 2008 edition of the "radio show about radio" that Craig Smith hosted every week. The fellow Don is talking to in this segment is Fred Napoli, the in-studio guest that night. As for the "woman" on this recording, well, listen. Hear The SOWNY Show and the "mystery voice" here. Long-time MIX FM host Punch Andrews appeared on Jim Richards' CFRB talk show on March 13, 2008 to discuss his career, his life and his health. He also took calls from listeners. It was an emotional and powerful show. Andrews died 17 days later of lung cancer. He was 43. Hear Jim Richards' interview with Punch Andrews here. It was voice-tracked, but sounded live. Scott Carpenter's Saturday Night Solid Gold Rock 'N' Roll Party displayed his skill as both a broadcaster and a producer. The show - which debuted on CHUM in January, 2007 - brought Carpenter back to the station after an absence of nearly 30 years. Voiced and produced by Carpenter from his home in Fredericksburg, Virginia, it was one of the major highlights of the last years of music at the Toronto station. His show - and the rest of CHUM's oldies programming - disappeared from the airwaves when the station began simulcasting the all-news cable TV station CP24 in March, 2009. "Brad Jones (CHUM PD) and I had spoken numerous times over the years about doing a show, but we didn't know what to do. Finally ... we decided to bring back The Boogieman. But it had to be a more mature approach, a sort of grown up Boogieman I guess. ISDN lines are no longer available where I live, so we had to use a telephone codec for the voice tracks. We tried a Comrex, POTS codec, and were surprised that the quality was more than sufficient. I used a $30 mike that I'd been using as a drum overhead. My sons and I recorded the bumpers in my recording studio. We just picked some songs from the 50's 60's and 70's with recognizable hooks, and riffed on them. The requests were handled by using a Vonage virtual number in Toronto. I simply downloaded them as mp3s and played them back from here. We wanted the show to sound live, so I had to adjust each track because of a 1/2 second lag. That took a lot of time. Also, I did the tracking a couple of hours before show time, so I could slide in bits that were time appropriate. In the two years I did it I received dozens of e-mails from PDs and OMs across the US and Canada asking if I flew up each week to do the thing live. Very few people ever guessed it was voice tracked." Enjoy The Boogieman on CHUM here. Focus groups, consultants, playlists, who needs 'em? Freddy Vette has won listeners simply by playing the music he loves, for people who love the music. On September 2, 2009, Vette began making waves with his '50s and '60s afternoon drive show at CJBQ. No 300-song, consultant-approved playlist here! Vette has dug deep to play the rock 'n' roll tunes forgotten by oldies/classic hits radio. Doo-wop, rockabilly, Motown, British Invasion, instrumentals, novelty tunes - you name it - Vette has played them all (he even makes Can-Con interesting). Those tunes, plus Vette's upbeat approach and personalized PAMS jingles has added up to a show more than worthy of the music and radio it celebrates. "Here in the Quinte area, as CHUM faded off the dial in 2009, we also lost Peterborough's 980 KRUZ and Oldies 960 in Kingston. Both of those stations flipped to FM and moved from Oldies to the "Classic hits" format. I have made my living as a musician playing '50s rock and roll since 2002. When those stations faded away, I knew there was an audience that wasn't being served because I was meeting them face to face, venue to venue all over Ontario. Rock and Roll was/is alive, just not on radio. To my surprise, I was given an opportunity. A better one than I had imagined. Weekday afternoon drive, 4 till 6pm starting September 2, 2009. Within 3 weeks, it was expanded to 3 till 6, within a year, 3 till 7pm (it was expanded to 2-7 pm in 2014). I have been given free reign with my playlist (Thank you CJBQ!!!). The hits (strictly from 1955 to 1970) mixed with seldom-heard songs, neglected Can-Con. (The Diamonds recorded more than just The Stroll and Little Darlin', who knew?) I also believe in music discovery for people over a certain age. Just because you may be over 50 years old doesn't mean you don't enjoy music that is new to you (from the 50s/60s). I take chances everyday with requests that I'm hearing for the first time on the air. It's always a musical adventure and I've learned that listeners also enjoy the unpredictability rather than the same limited list of tested hits churned out over and over....and over. The program has been a success in ratings and revenue for Quinte Broadcasting. I really owe it to my program director Sean Kelly and owner Bill Morton." Vette, who was born in 1972, got interested in the music of the '50s and '60s at a young age by listening to his parent's records of the era. He learned how to play the drums, the guitar and the piano, joined bands that played the music of his favourite era and then in 2002 started his own '50s and '60s band, Freddy Vette and The Flames. The group plays letter-perfect renditions of '50s-'60s songs with his wife Betty heading a "girl group" section within the band. Check them out, but now enjoy his radio show. Hear Freddy Vette on CJBQ here. On May 30, 2013, your curator got his very own Fifteen Minutes of Fame when he was interviewed on-air by CKOC's Ted Yates. It was a promotional appearance for my book, Fifteen Minutes of Fame: History's One-Hit Wonders. It was like jumping into a time machine and pressing play. 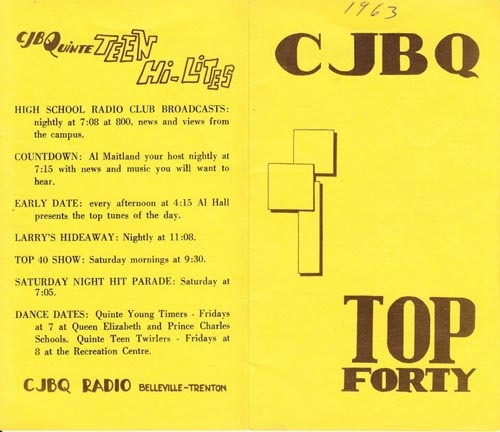 On October 17, 2013, Freddy Vette went back half-a-century and played the CJBQ Top 40 from October 17, 1963, from a chart sent in by a fan. Listeners got to hear everything that was on the local chart that day from #40 (Blue Guitar by Richard Chamberlain) to #1 (Sugar Shack by Jimmy Gilmour) and everything in between. Some of the songs hadn't been played on radio literally since they came out, while others are staples of oldies radio. It was a magical afternoon, and you can relive it at Rock Radio Scrapbook. Tired of the 300-song playlist? Look no further than Freddy Vette's "Back of the Rack." Here's the inside scoop from Freddy, host of the outstanding Freddy Vette Show 2-7 p.m. ET Monday to Friday on CJBQ Belleville. "The hour of music features rarities from the '50s and early '60s. I have a few resources that I call upon to find the music for the hour. The only criteria is the proper era and a title or artist I don't recognize. I legitimately do not preview any music before it hits the air. I hear the music for the first time along with the listener. That makes my reaction very spontaneous and legitimate. And the hit or miss aspect of the hour is very real. I've had hours that are filled with terrible records (which in its own way becomes entertaining) and hours that are filled with gems. It's an adventure in music discovery for the listener and me!" "Back of the Rack" is broadcast every Wednesday at 6 p.m. ET on CJBQ, and we have a sample hour. Enjoy "Back of the Rack" here. Fats Domino, Etta James, the Animals, The Beach Boys, Elvis, Tommy James, The Rascals, Ronnie Hawkins. You'll hear all of these artists on this wonderful hour of oldies and great personality radio from the Freddy Vette show. On the 50th anniversary of Alan Freed's death, CJBQ afternoon personality Freddy Vette interviewed Judith Freed, Alan Freed's daughter-in-law, who maintains the Alan Freed tribute site, www.alanfreed.com. Enjoy this fascinating interview here. "It's a lot of work, but it's better than having a real job." Jon Wolfert doesn't just play the songs, he plays the songs between the songs. Every Sunday from 3-6 p.m. ET on rewoundradio.com, the veteran jingle producer and executive plays the hits of the '60s and '70s and also the jingles associated with the era. The result is an incredible look at the "little tunes" that have played such a big part of the Top 40 radio listening experience over the years. Wolfert, a native of New York City who now lives in Dallas, has spent a lifetime in the jingle industry, beginning with PAMS in 1971 before starting his own company, JAM, three years later. JAM has become the #1 source for jingles in the United States. Says Wolfert, "It's a lot of work, but it's better than having a real job." Wolfert's show from June 24, 2018 is extra-special as it features an fascinating interview with two long-time jingle singers. Let's listen in. Enjoy Jon Wolfert on rewoundradio.com from June 24, 2018 here.